You can never go wrong when you send a gift of wine and sweets. 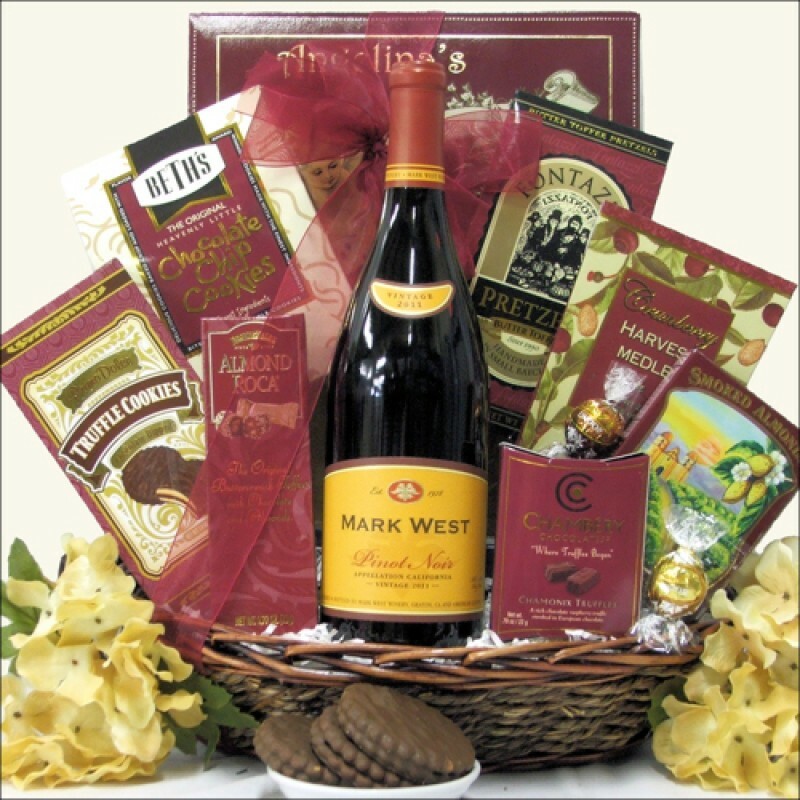 Our 'Mark West Pinot Noir' wine gift basket is a perfect choice for any occasion. In addition to the medium-bodied, fruity, red wine, they will enjoy a delicious assortment of tasty treats including Almond Roca Buttercrunch Candy, Lindt White Chocolate Truffle, Beth's Chocolate Chip Cookies, Cranberry Harvest Medley and more. A perfect gift for any occasion.